Birthday parties can be a minefield for children with autism, and for J they used to be very traumatic experiences. For someone with extremely heightened senses it is no wonder that the noises, colours, excitement, and chaos of a children’s birthday party can be enough to trigger a full-scale meltdown. J was scared of balloons because once a balloon burst and frightened him. J got anxious when people sang “happy birthday” because he knew they’d finish with a loud cheer that hurt his ears. J got stressed when he was in fancy dress because people would say “Oh look, you’re a pirate!” and he was not a pirate he was dressed as a pirate. J found children’s party entertainers confusing because they’re often loud and fast-paced, and they don’t explain the rules of a game slowly and explicitly. And J stood on the outskirts watching his peers charging around a hall, leaping on a bouncy castle, chasing each other back and forth, completely bewildered by the unspoken rules and nuances of children’s play. Rare and tentative attempts to join in were overlooked by the other children who were having way too much fun to stop and be patient with the slightly clumsy boy who said slightly strange things. So mostly birthday parties went like this. J would put on our only fancy dress costume that he was willing to wear. We’d arrive at the designated hall and take a deep breath before submerging ourselves into loudbrightscreamingexcitednoisynoisynoisysmilingcryingchaos. J would immediately take both my hands and put them over his ears, holding them tightly in place with his own hands, and would make screaming noises or repetitive chanting sounds to drown out the din around him. Meanwhile L would also be fighting for my attention because, to be honest, she wasn’t much of a fan of parties either, except for the goody bags we got at the end. And with J screaming as I briefly withdrew my hands from his ears, I’d find a spot to sit in, take off our coats, put him on my lap, replace my hands on his ears and wait it out. When the rest of the party danced I’d stand up with J and sway with him. When the rest of the party played musical statues I’d try to encourage J to freeze in position with me in a safe little corner. When the game of pass the parcel began I’d carry J to the circle and join in with him on my lap. At some point, some kids would start bashing each other with balloons and J would shriek in fear of the inevitable bang. And when the candles were lit J would begin to yell loudly throughout the singing of Happy Birthday, attracting strange looks from the other parents. I would constantly be looking at my watch, counting down the minutes until it wasn’t too rude for us to leave. And I would question my decision to keep bringing J to parties. But keep bringing him I did. Because I didn’t see how he could go through his life never going to a single party. Because I knew he would have to learn to cope in loud and overwhelming environments. Because I wanted to try to expose him to challenging situations in as safe and supportive a way as I could. And gradually it got easier. Slowly, ever so slowly, parties became less painful for J and he began to join in with tiny bits. Because actually, children’s parties do have a set formula. Play. Bring in the cake. Sing Happy Birthday. Sit and eat. Play some more. Party bags. Go home. So J learned how to do parties. Bit by bit. And every year I made a party for him and L on their birthday, though of course I worked hard to try to make it a party that would suit them and that they would enjoy. He usually enjoyed bits of them. When he couldn’t cope with any more he would literally shut down and go to sleep. And alongside all of this J started nursery and then more recently school, and his play skills and social skills began to develop. The children in his class got to know him better, and to understand his ways. Some got frustrated with him. But others were wonderfully accepting, patient and thoughtful, and it is through these children that J has begun to truly and fully enjoy the experience of being at a party. It is only in very recent months that I have seen, with sheer delight, J forming his first true friendships. There is a group of children in his class, mostly girls, who love spending time with him. They think he is funny, and he in turn loves to make them laugh. They hug him. They have deep and meaningful conversations with him. And more than that, even at four and five years old it is clear to see that they understand and accept some of J’s difficulties and have taken it upon themselves to support and help him. The way friends do. Last week J and L turned 5 and they had a birthday party. Throughout the afternoon I and my parents held back the happy tears as we watched J joining in with the games, dancing with the others, roaring with laughter, winning prizes, fully interacting with the other children, and genuinely having a wonderful time. Partly I think this was down to my years of perseverance, doggedly dragging J and L to party after party. Partly this was undoubtedly down to finding a wonderful entertainer who made small but significant changes to accommodate J’s needs. He turned down the volume on his PA system. He made a game out of singing of Happy Birthday very verrrrry quietly (which one mother later commented was actually very moving and emotional to watch), and finishing the song with “yippee” instead of “hooray”. He was careful to explain each new game and activity clearly, and when he called J to the front of the party to speak into the microphone he didn’t rush him. And as well as plenty of exciting, high-energy games, he also provided lots of quieter, more controlled activities which J really enjoyed. Our face painter was equally lovely, as towards the end of the party J was starting to flag and zone out a little, and she asked whether he wanted to paint her as he hadn’t wanted to be painted himself. He spent a happy 20 minutes quietly absorbed in covering her with technicolour stripes, which was the perfect time-out that he needed from the excitement of the party. The final part of the jigsaw was J’s friends – the first birthday he has had with real friends rather than just children he knows. It was lovely to see the way his classmates ran up to him and L when they arrived, and equally how he went to the door to greet them all. It was beautiful and heartwarming to see one of the girls instinctively explaining to him that the entertainer wanted J to go up to the front, and for her then to pat the floor next to her indicating that J should sit back down afterwards. It was incredibly sweet to see another girl take his hand and dance him around in circles when the music started. I get the feeling that some of his classmates understand he is slightly different and some haven’t realized – but that it doesn’t matter either way. He is simply accepted. I felt close to tears. No matter what special needs a child has or how extreme their differences, surely every child should have the right to have a party to celebrate their birthday each year – if that is what they want? I remember the parties from my own childhood. The excitement I would feel in the planning: in choosing my birthday cake, in picking the decorations and the fancy dress theme, in feeling like the most important person in the world for a few hours. Children with special needs are still children. The special needs should be secondary to the magic and wonder of childhood. So what is the difference? 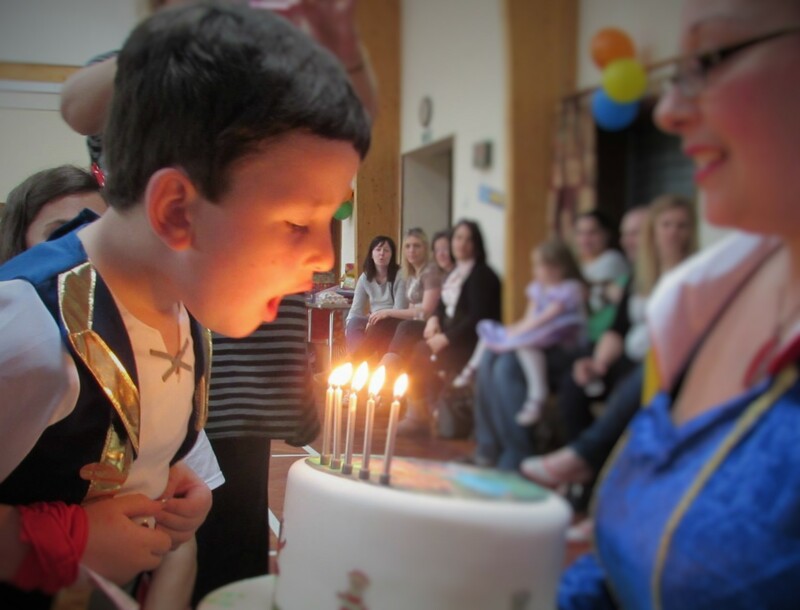 Why does J have friends who wanted to celebrate his birthday with him despite his autism, whilst other children cannot muster enough classmates for a party? Partly of course it is because J’s form of autism means he is still able to communicate well, albeit in his own unique way. 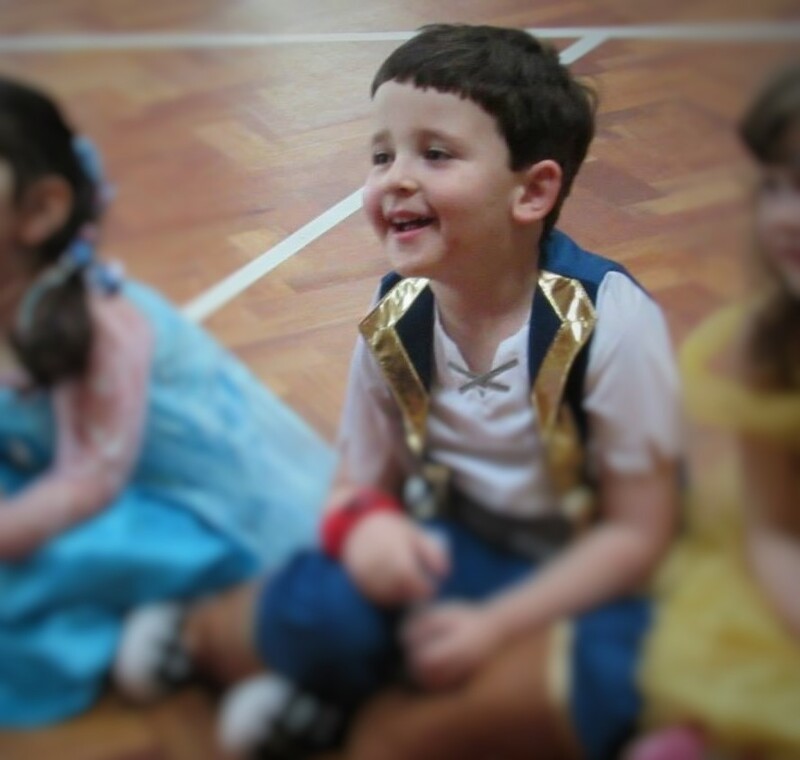 He is likeable, funny, cheeky … whilst children with more severe or different forms of special needs might be harder for their peers to get to know and identify with. They might display behaviours that are more disconcerting for others and harder to understand. BUT. But. There must still be a way. Child doesn’t want to go to J’s party. After all, he’s weird and makes strange noises. But Mum and child have a long chat. Mum helps child understand more about what it means to have special needs, and why J might make the noises. 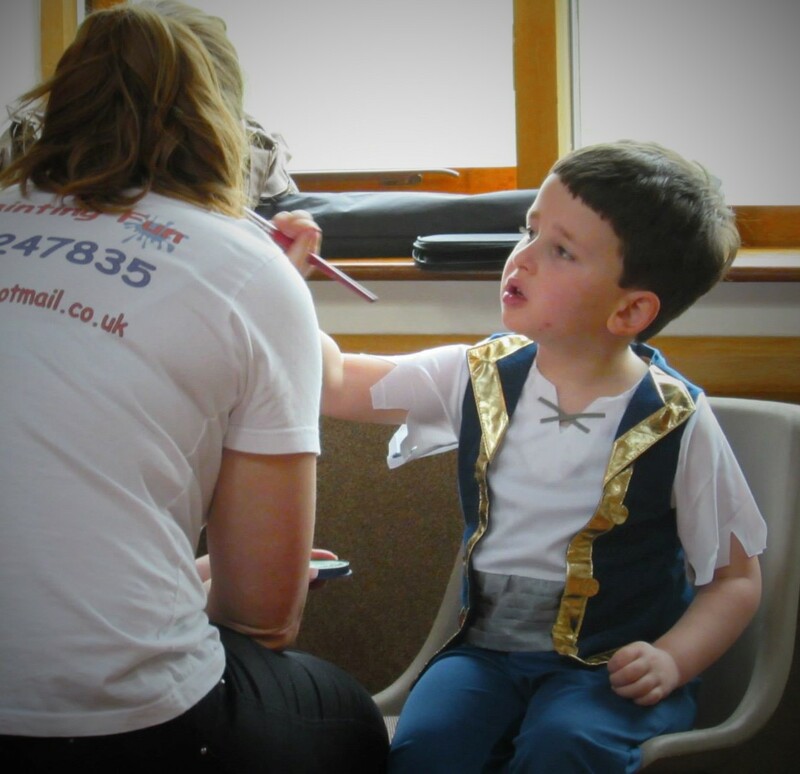 Mum helps child to see that despite J’s outward “weirdness”, inside he is just the same. Mum encourages child to imagine how it would feel if no-one came to his party. Mum teaches empathy and kindness. Mum teaches that one of the most wonderful and selfless acts of kindness is to do something we don’t want to in the pursuit of making someone else happy. Mum phones child’s friends’ parents and discusses the situation. They consider how it must feel for J’s mum to want to make her son feel special on his birthday, just as they all would for their own children. Parents jointly resolve to practice kindness and love, to teach their children by example. Not to force them to go to J’s party, but to encourage them to make kind, generous, loving choices. And for children to go to J’s party knowing he has needs that are greater than their own, and recognizing what a special thing they have done. And surprising themselves by having a brilliant time at a party that has probably been more meticulously planned, resourced and facilitated than any they have attended before. Yes, I realise that J’s special needs are probably easier for other children to process and accept than those of some other children. But I also believe there are one or two children in his class whose parents have taught them to be kind and helpful, whose parents have explained that J has additional needs, whose parents have asked them to be a little patient with him. And that those children have then led others by example. There has been a very recent media frenzy around a boy in America. With his 11th birthday approaching his Mum asked whether he wanted a party and was devastated when he replied there was no point as he has no friends. The boy has disabilities which make social skills difficult for him and consequently he felt ostracized by his peers. Desperate to do something for her beloved boy, the Mum set up a Facebook page where her family and friends could leave birthday messages for her son so he could feel he did have friends after all. The response was overwhelming for the family – at the last count the page has 2.2 million “likes”, countless messages of support, and they have received thousands of birthday cards and gifts in the post. This boy’s story, rightly, touched the hearts of so many who felt they wanted to make some gesture to show solidarity with this loving mother and her son. What those outside of the special needs community don’t understand, however, is how common this story is. And whilst it is kind and thoughtful to leave a message on a Facebook page, there is a much bigger thing that can be done. Just imagine if each and every one of those 2.2 million people committed to teaching their children, their parents, their colleagues, their friends, what a difference they can make through real acts of kindness to those who are different. Engaging in conversation with those who seem a little odd or different. Asking if they can do anything to help. Going to their parties. It really doesn’t take much. But it does take all of us.